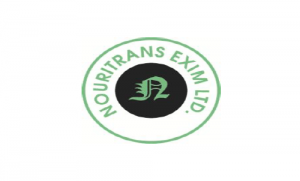 Nouritrans Exim is in the business of exports, imports and trading of commodity since 1995. Currently, we have a head office and a corporate office located in Gujarat. Our global presence covers various markets in USA, UK, Europe, South Africa and Middle East. Our Managing Director with 22 years of experience, have a mission of dramatically changing the way companies conduct global trade. Our company has been accredited as an International Commodity Export-Import & Trading Company and having APEDA certificate. Over the decades, our company has emerged as a leading Import-Export & Trading Company with wide portfolio of International and Domestic customers. For importing and exporting of our goods, we follow the high sea sales method. Our product portfolio covers various Agro based products and Scraps, including Basmati rice, wheat flour, sunflower oil, mango pulp, vegetable canned, sugar, copper scrap, pet bottles & flakes, and organic fertilizer. Nouritrans Exim IPO allotment status is now available on Karvy Computershare’s website. Click on this link to get allotment status. You can also check allotment status using application number on this link.